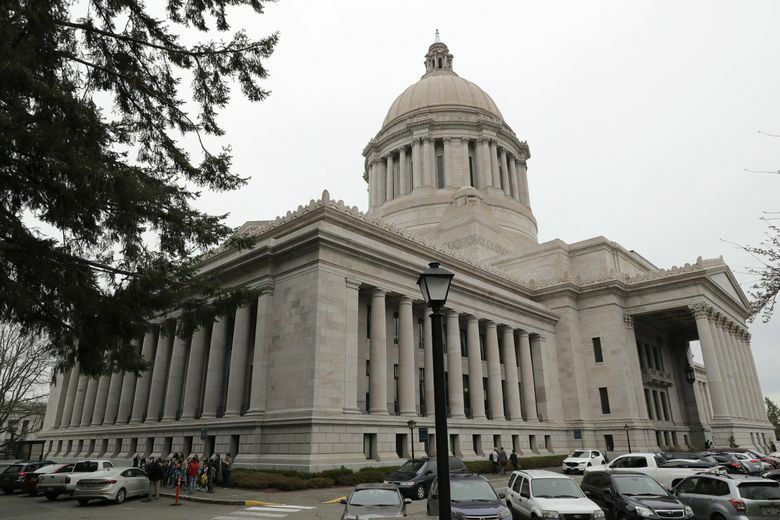 OLYMPIA — Washington Senate Democrats’ proposed two-year state budget calls for funding education and mental-health priorities by changing a home-seller tax and closing three tax breaks, including one that benefits opioid distributors being sued by the state. Released Friday, the 2019-21 operating budget would provide key funding for the emerging plan to reshape Washington’s mental-health system and expand some early-learning slots and the state need grant for college students. The Senate plan would raise $518 million in new revenue over two years, mostly through changes to the real-estate excise tax. That is a smaller amount than proposals offered by Gov. Jay Inslee and House Democrats. Unlike the budget plans from Inslee and House Democrats, the Senate’s $52.2 billion proposal doesn’t rely on a capital-gains tax for funding — but it does propose one. The Senate capital-gains tax — applying an 8.9 percent tax on profits of capital-gains earnings above $250,000 for individuals and joint filers — would instead offset tax cuts and other reductions. At that threshold, the capital-gains tax would apply to about 8,000 Washingtonians. Retirement accounts and the sales of small businesses, farms, homes and timberland would be exempt. If enacted, it would raise $780 million in new revenue in 2021. The revenue from that would pay for a property-tax cut for some seniors and would ease the burden for about 400,000 low-income households by funding the Working Families Tax Credit. The Legislature passed that credit more than a decade ago but never funded it. Capital-gains revenue also would allow tax reductions for small-business owners who earn less than $2.5 million in annual gross revenue. And it would help get rid of the sales tax on diapers, feminine-hygiene products, over-the-counter medications and medical and mobility equipment. “Our tax code is broken, and we’re trying to … put forward a thoughtful proposal that will help fix our state’s upside-down tax code,” said Senate Majority Leader Andy Billig, D-Spokane. The capital-gains proposal highlights the political and philosophical challenges Democrats, now in control in both chambers, still face in their quest to make Washington’s tax system less regressive. Inslee and House and Senate Democrats have over the years proposed a tax on capital-gains earnings. The proposals have never received floor votes, much less inclusion in a budget deal. In December, in response to Inslee’s proposal, three Democratic senators said they weren’t interested in a capital-gains tax. Democrats have a 28-21 majority in the Senate, and need a simple majority of 25 votes to pass most legislation. If one more Democratic senator is opposed to the policy, the capital-gains proposal almost certainly won’t pass the Legislature. Without raising any new money, Washington is projected to have nearly $50.6 billion for the 2019-21 operating budget. But Inslee and Democratic lawmakers have pointed to the growth in K-12 school funding under the court-ordered plan agreed to in 2017, saying that has eaten up most revenue expected to come in. Meanwhile, lawmakers in both parties have agreed they must spend more on the mental-health system and special-education funding. Republicans, however, have decried the need for new taxes, and called for lawmakers to find ways to fund everything with existing tax revenue. The Senate plan would raise $421 million over two years by modifying the real-estate excise tax, which is paid by people selling homes. The proposal would lower the current 1.28 percent rate for people selling homes under $250,000. It would keep the current rate for sales of homes between $250,000 and $1 million, and set higher rates for people selling homes valued above $1 million. The plan also would eliminate a tax break for prescription-drug distributors that would raise $38.5 million over two years. Three of the companies that benefit from the tax break — AmerisourceBergen Drug Corp., Cardinal Health Inc. and McKesson Corp. — have been sued by the state for allegedly filling suspicious orders for prescription painkillers that have fueled the long-running opioid crisis. Between 2006 and 2017, opioid overdoses killed more than 8,000 Washingtonians, according to the lawsuit filed this month by Attorney General Bob Ferguson. In a statement Friday, GOP Sen. John Braun of Centralia, called the Senate proposal “a much better start” than the House plan. “However, I remain concerned about the effect of the higher real-estate tax and other tax increases in today’s proposal,” Braun, ranking Republican on the Senate Ways and Means Committee, said in prepared remarks. The Senate plan also raises a tax on insurance premiums to 2.52 percent, from the existing 2 percent. That money would be dedicated to wildfire suppression and forest-health projects the Legislature has often underfunded, despite back-to-back record-setting fire seasons in 2014 and 2015. It would be the first time for Washington to dedicate funding for wildfire suppression and forest health, according to Public Lands Commissioner Hilary Franz. The money raised would fund Franz’s 10-year plan to combat wildfires. The state operating budget funds prisons, parks, schools, public lands, social services and other programs. House Democrats on Monday unveiled a $52.6 billion budget, funded by raising roughly $1.4 billion in new or higher taxes over the two years. That proposal includes changes to the real-estate excise tax, a hike in part of the business-and-occupation tax, the elimination of some tax preferences and a capital-gains tax.